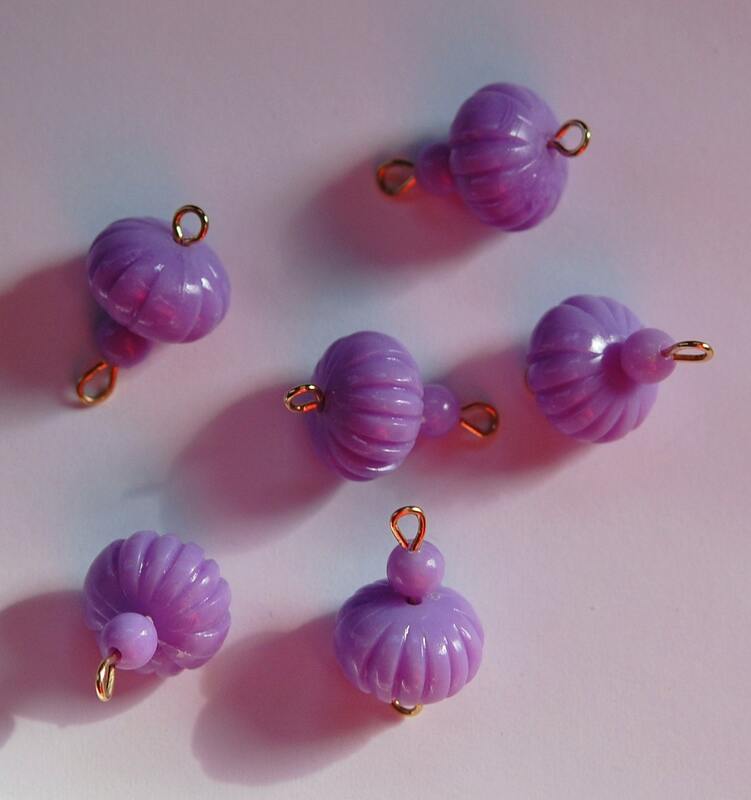 These are vintage plastic drops that were made in Japan. 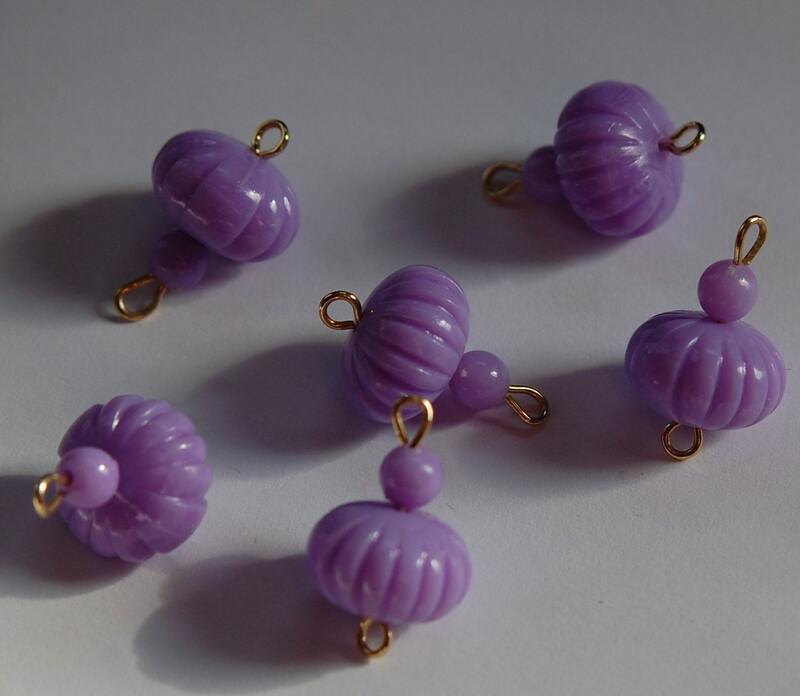 They have a melon bead and a smaller plastic bead and two gold loops. These measure 20mm long X 12mm wide. You will receive 6 pieces. Very pleased with my purchase. Thanks so much. So cute! Liked it! Thanks!